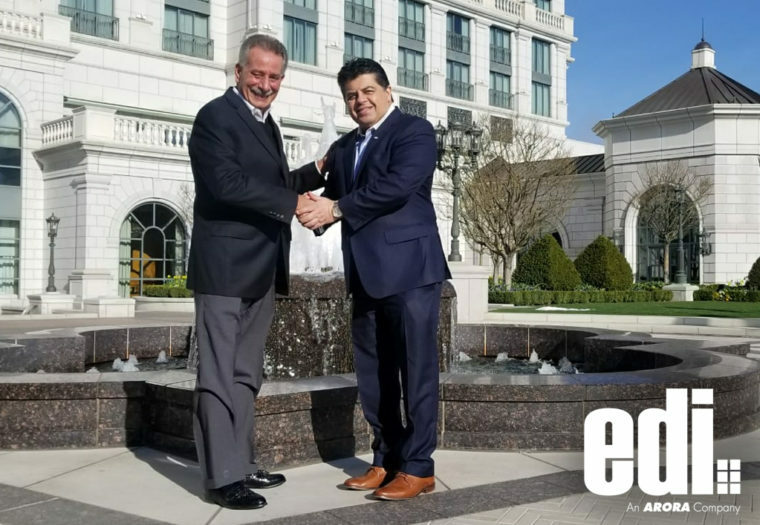 Electronic Data, Inc., An Arora Company - Arora Engineers, Inc.
CHADDS FORD, PA – Arora Engineers, Inc. (Arora) is pleased to announce that they have formally completed the acquisition of Electronic Data, Inc. (EDI), who is now a fully owned subsidiary of Arora. EDI is a business process consulting and technology firm that specializes in maintenance, asset, and facility life cycles, as well as integrated workplace management systems (IWMS), located in St. Petersburg, FL. EDI offers industry-specific asset management solutions for aviation, wastewater, education, life sciences, and manufacturing facilities. Their services have recently been extended to arena/large venue spaces, where they provide facility planning, facility management, and flexible space reservation management to ensure the most effective utilization of arena spaces and assets. They were also vital contributors to Kansas City International’s recent large-scale Maximo implementation. The employment of this asset management software is a critical step in the development of their new terminal, which is scheduled to open in 2023. For over 30 years, Arora has provided engineering, program/construction management, information technology, and facilities management services tailored for clients in aviation, transportation, education, government, and commercial sectors. The firm specializes in mechanical, electrical, plumbing (MEP), fire/life safety, special systems, and geospatial technologies. Arora is headquartered in the Philadelphia region with offices in Atlanta, Baltimore, Boston, Charlotte, Chicago, Dallas, Fort Lauderdale, Nashville, New York, and San Jose. Electronic Data, Inc. (EDI) is a professional services firm and software solutions provider specializing in maintenance best practices, facility management, enterprise asset management, integrated workplace management systems, and bundled enterprise asset/real time asset health monitoring solutions. EDI has developed industry-specific solutions that significantly reduce systems implementation time and costs, which provide their clients with cost effective and timely value proposition return on investment. Additionally, EDI is the only North American company to implement the new IBM Maximo for Aviation Maintenance Management System for a large airline company. View original press release on PR Newswire.